Problems making the GamePad controller might lead to a late European Wii U launch. 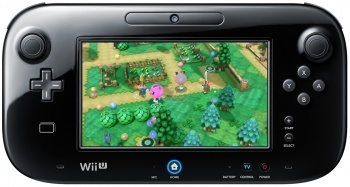 Despite offering a 2012 window for the Wii U, Nintendo still hasn't given a release date for any region. Many have speculated that the console would launch worldwide in November, just in time for the busy holiday season. However, industry sources are reporting that the publisher is having manufacturing issues, which could cause delays launching the system. According to the sources, the Wii U is expected to slip to a December release in Europe, though other regions may not be affected. The key problem appears to be the ambitious GamePad controller, which is one of the console's major selling points. This could be the reason Nintendo hasn't announced the Wii U launch date, despite the holiday season creeping ever closer. However, gamers in North America are still expected to see the system on store shelves before Thanksgiving. That should make the Black Friday rush even more challenging for those looking to be among the first to get their hands on Nintendo's newest console. This isn't the first time a console was released later in Europe than other regions. Though the Wii launched in November of 2006 in North America, European gamers didn't get it until a few weeks later on December 8. In 2006, Nintendo didn't announce the launch information for the Wii until September, so it's entirely possible not having a Wii U release date isn't indicative of a larger problem. We'll know more when Nintendo finally makes its Wii U launch dates public, which, if history is any indication, could be within the next few weeks.